Club Penguin Cheats by Mimo777 Club Penguin Cheats by Mimo777: New December 2011 Club Penguin Snow & Sports Catalog Cheats! 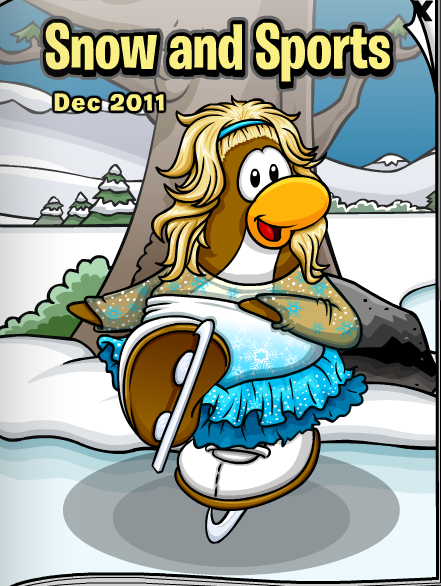 New December 2011 Club Penguin Snow & Sports Catalog Cheats! Wait, wha? NO CHEATS!?! Fo real? Say it isn't so! I am sooo looking forward to that ice rink. I like the new catalogue but why are they selling away shirts instead of home shirts? Why don't they have any cheats????? I think they made the weather change permanent, but if you aren't a member once you take off your suit you can't put it on again. Maybe they need more sports ideas for an ice rink? 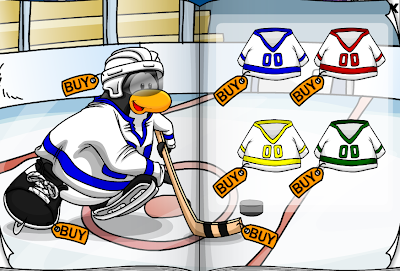 They already had a speed skating uniform, hockey and ice skating... what else? Thats not a glitch its real!!! Mimo, have you noticed that in the Dance Lounge, the place where you can see the penguins dancing still has the ninja symbol thing? 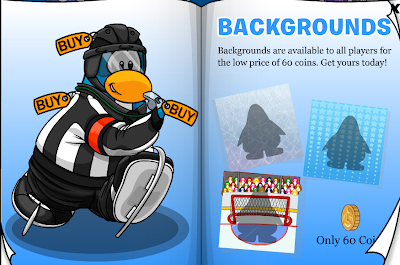 You get to keep the suits but unless you're a member you cant use them anymore once you take one off.